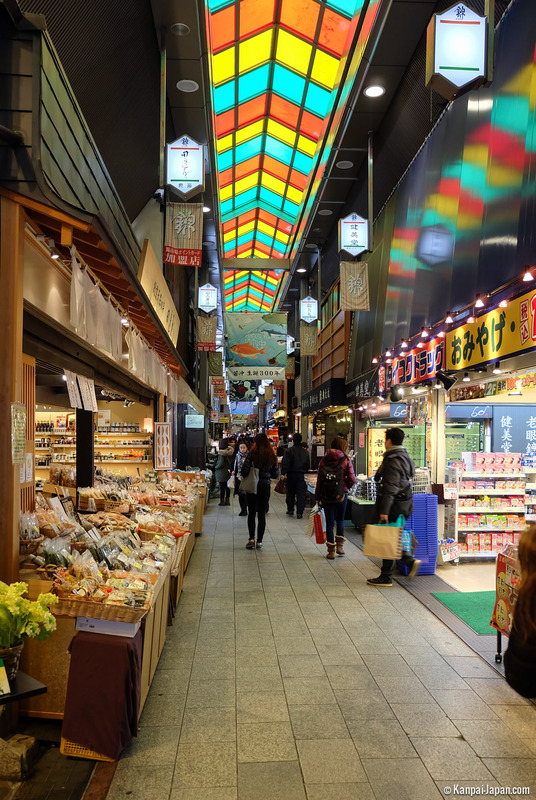 Nishiki market spreads on a 400 meters long narrow street, parallel to Shijo avenue in the heart of Kyoto. 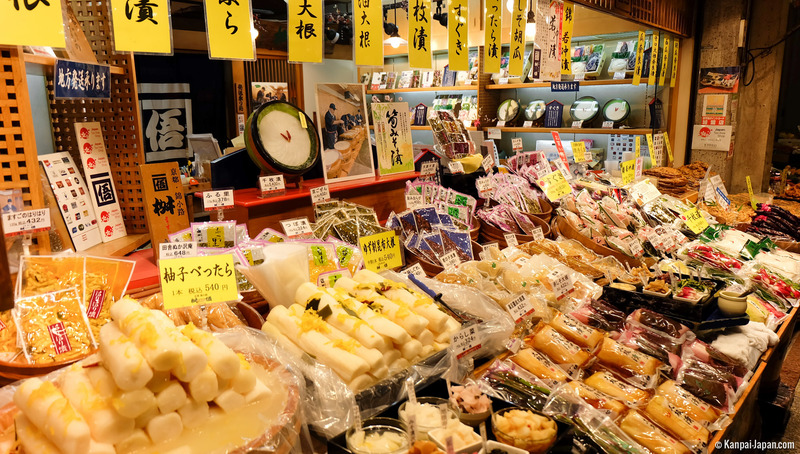 The market has been part of the former capital city's most touristic sites for a long time now. 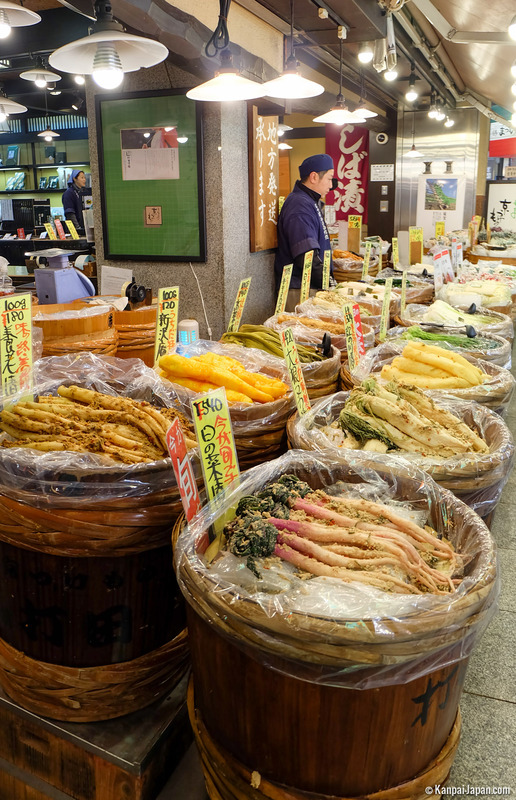 Loved by travelers and locals, giving it legitimacy, the market is home to hundreds of diverse stands, all about Japanese food. 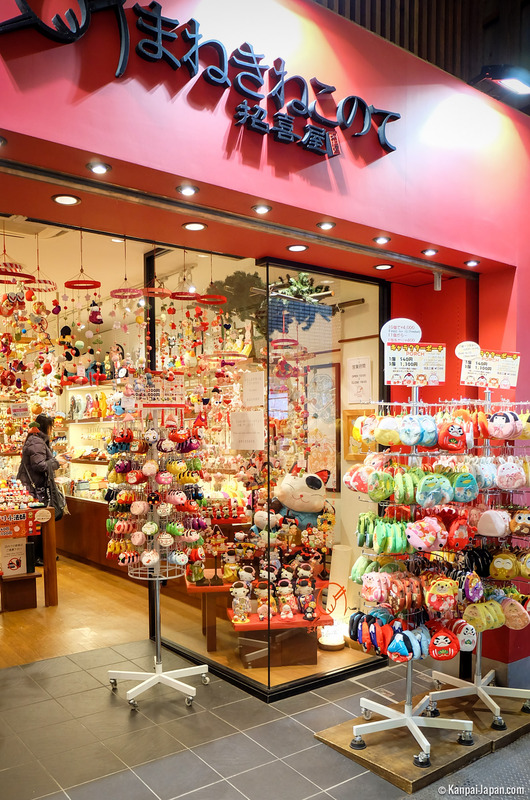 but also some more recent souvenir shops. 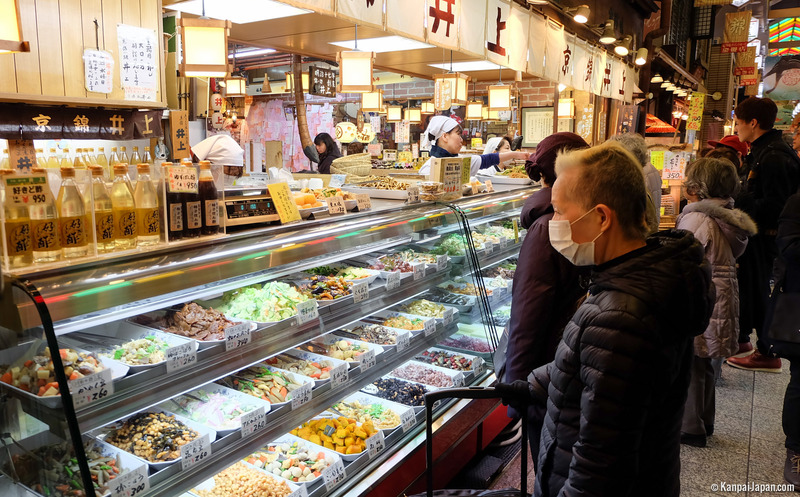 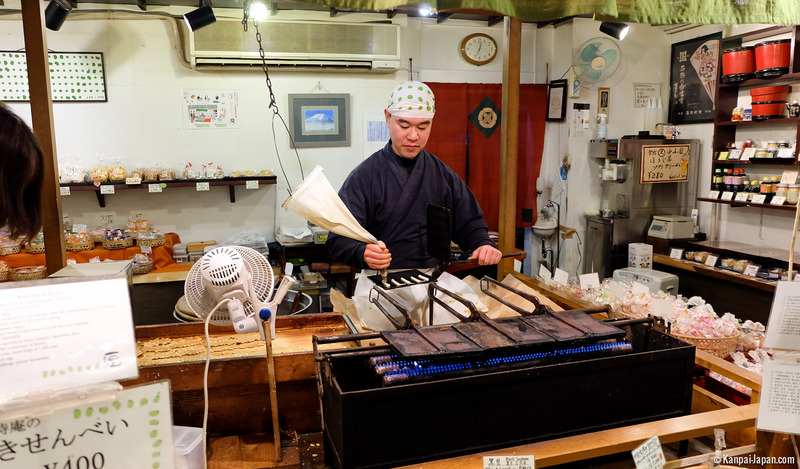 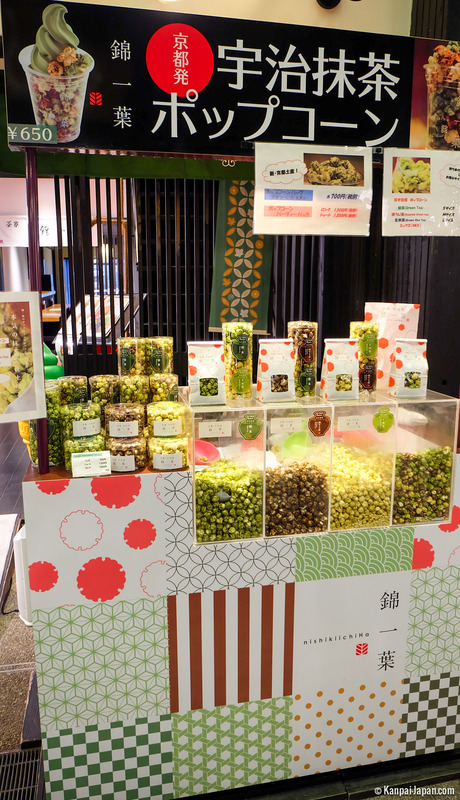 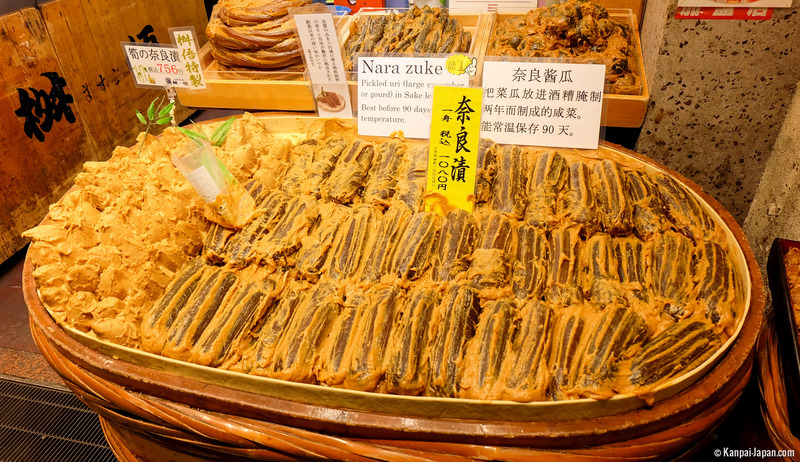 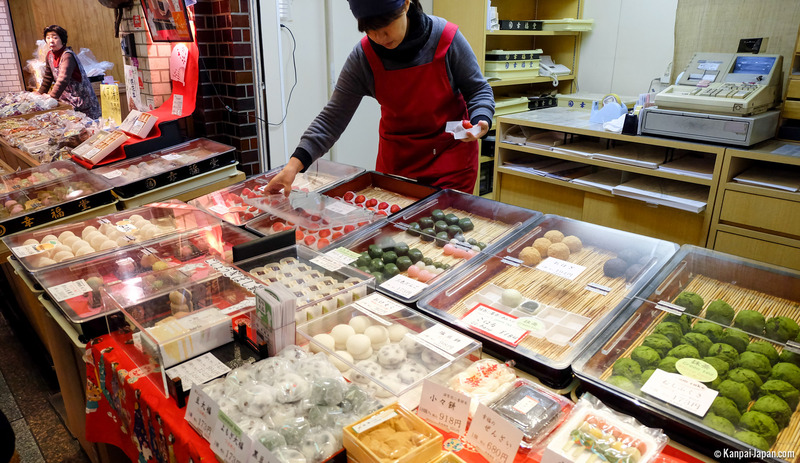 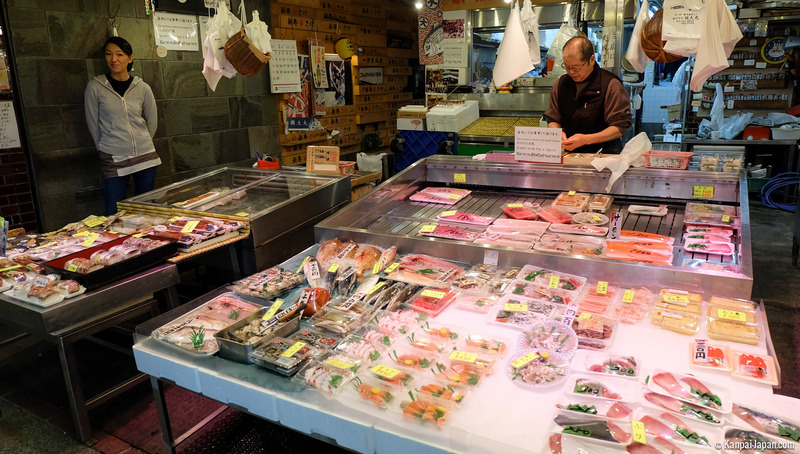 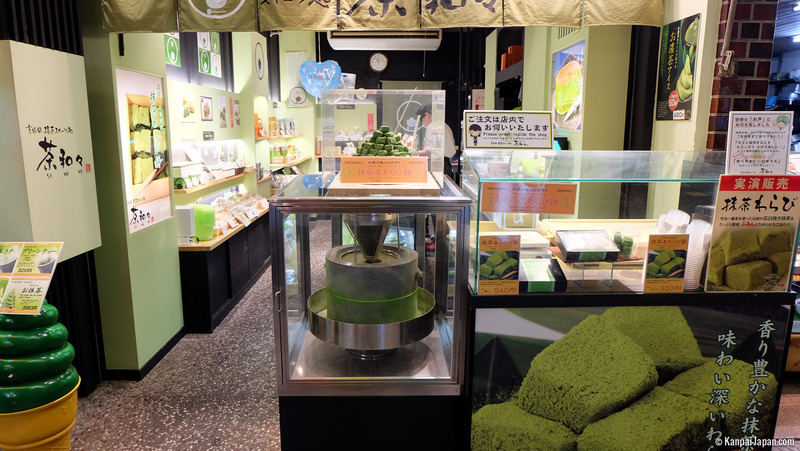 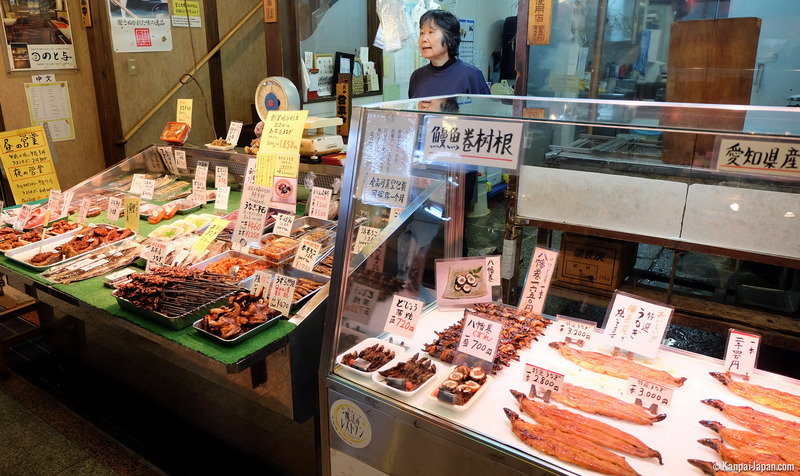 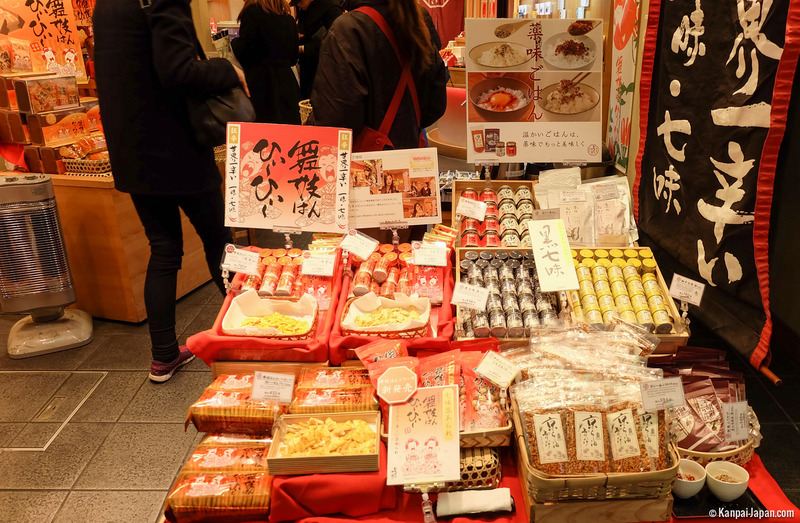 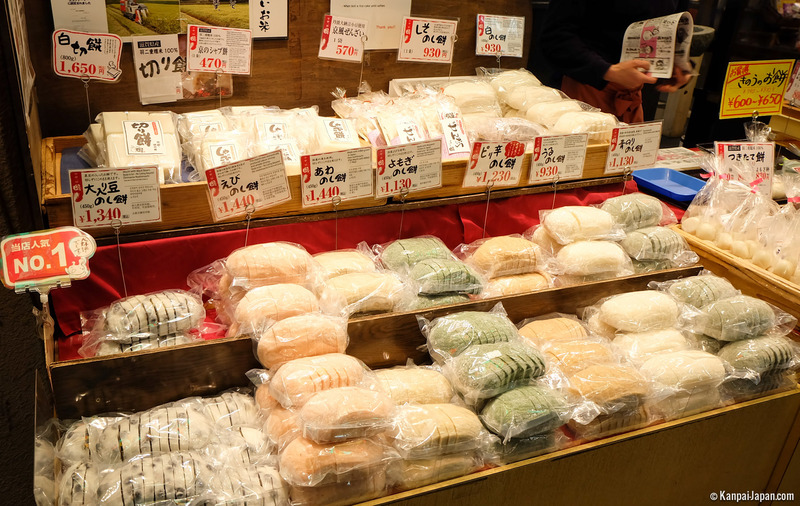 All along Nishiki market, in addition to admiring pleasant and mouth-watering shelves, it is possible to taste unusual ready-made food or to buy snacks to enjoy while strolling around. 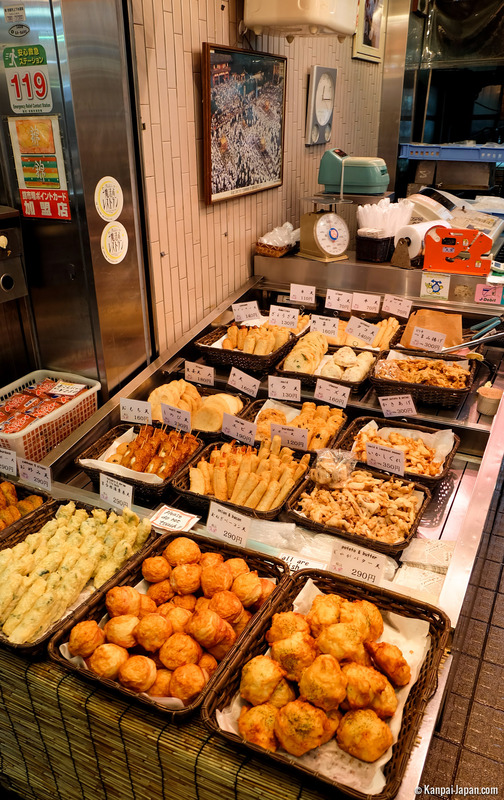 We can also find some restaurants to take a little more time to eat. 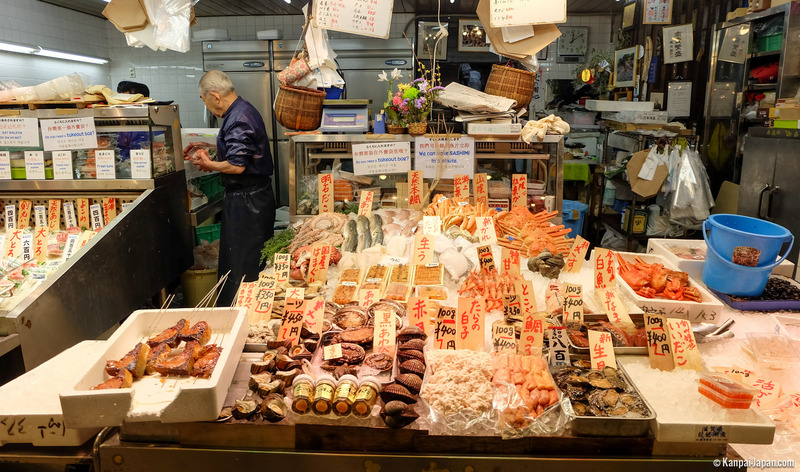 While the official Nishiki association celebrates its official opening in 1615 (thus the celebrations for its fourth-century anniversary in 2015), it is being said that the first store opened in the early 1300s. 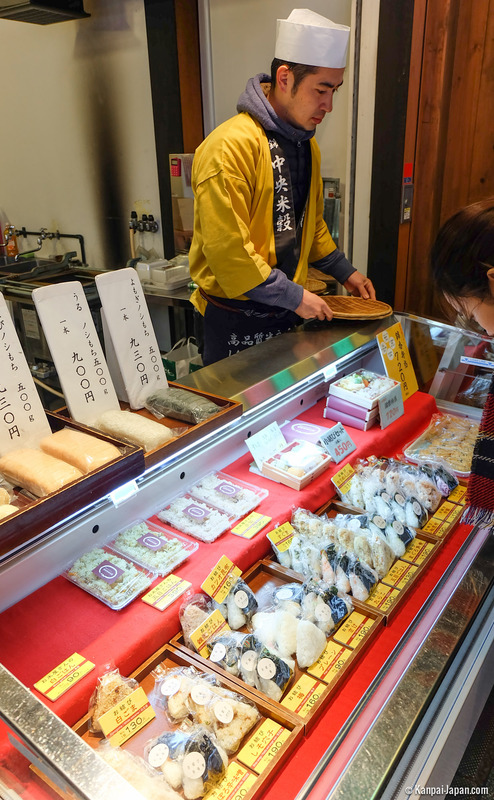 Only focused on fish products for a long period of time, it is only during the first half of the 20th century that the market diversified its offer. 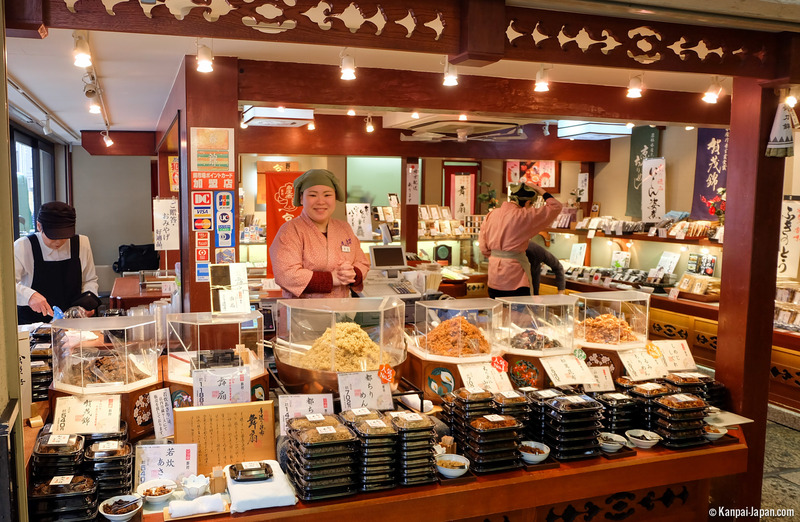 Numerous of its institutions are now inherited from one generation to the following and therefore offer this relaxing and warm atmosphere of a small village. 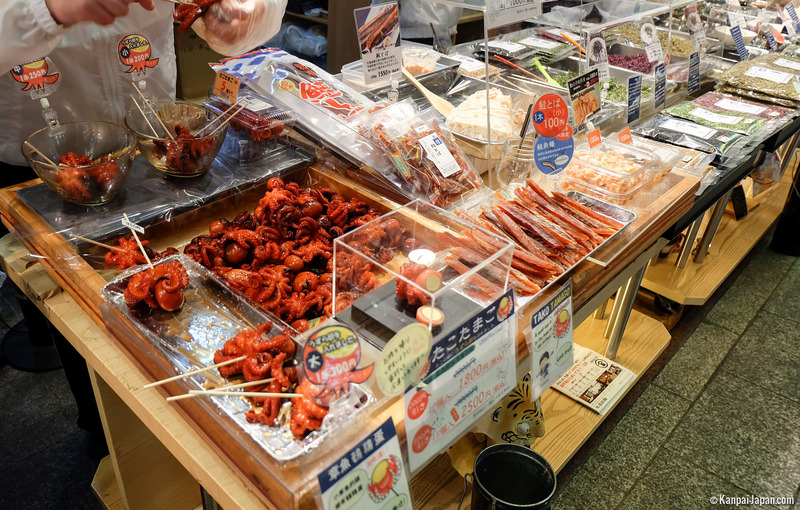 Unmissable visit for the many Japanese food lovers, the market is accessible by several entrances thanks to neighboring streets such as Teramachi which cuts it from East to West. 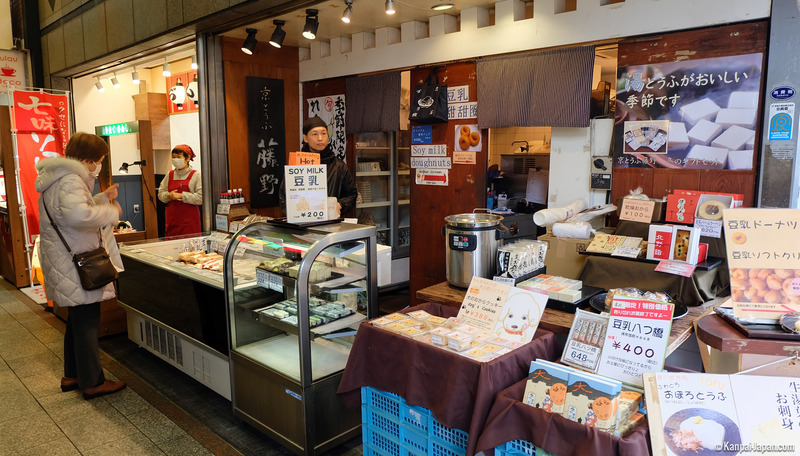 At the end of it, Nishiki Tenmangu shrine presents an impressive concrete torii frozen between two buildings.